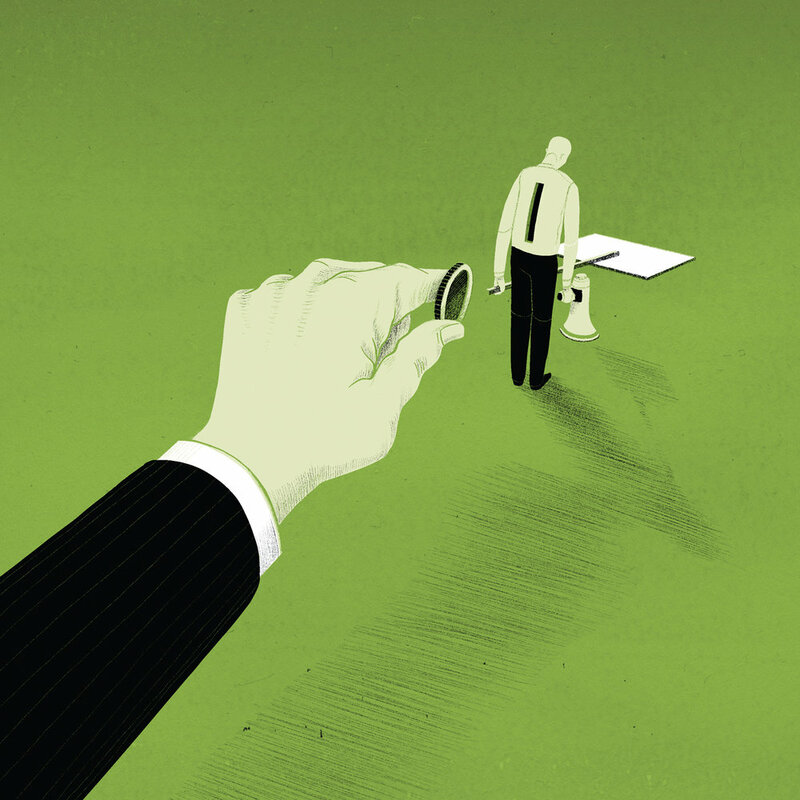 I made this illustration for Wirtschaftswoche about CEO fraud - when your boss calls and tells you to make a money transfer, but it turns out it wasn’t your boss. Another quite technical subject, illustrated for Wirtschaftswoche. Companies are engaging in buying back stock from their shareholders in order to maintain or raise their market value. This practice is inefficient and possibly harmful to the company, when the same money could be used to invest into the comany and create ‘natural’ added value to the business. 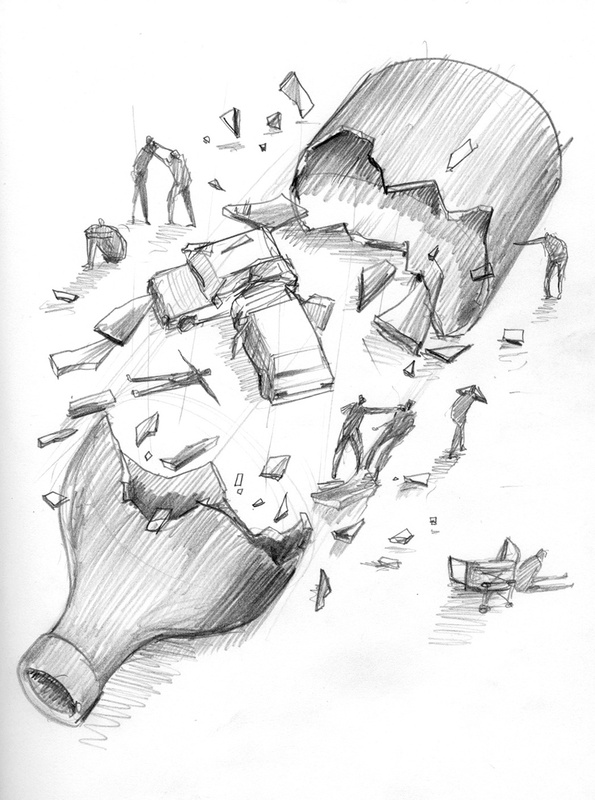 I was asked by Vital Strategies to draw a series of illustrations for ‘Trouble Brewing’, their recently published report on the state of alcohol consumption, effects and policy. 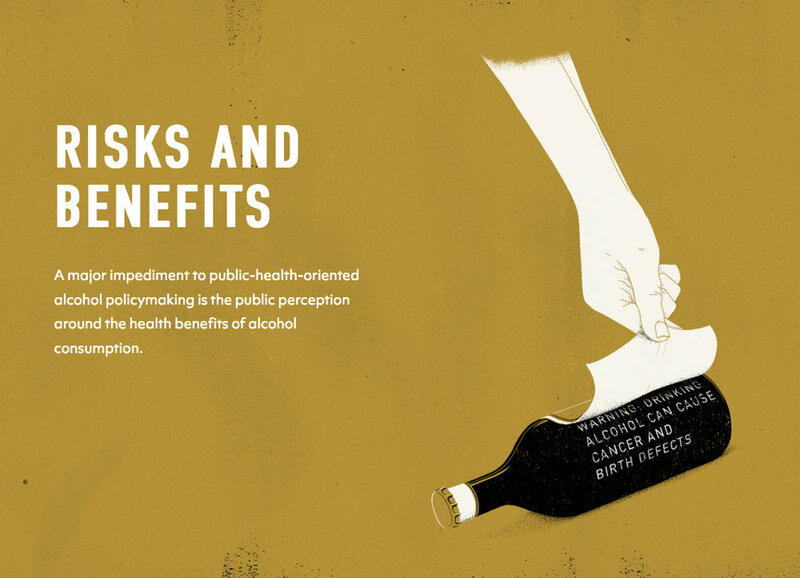 “Alcohol is a leading contributor to death and disability worldwide, yet the global public health response to the harms of alcohol use is not commensurate with alcohol’s social, economic and health burden. All six images can be seen below, with their respective themes. 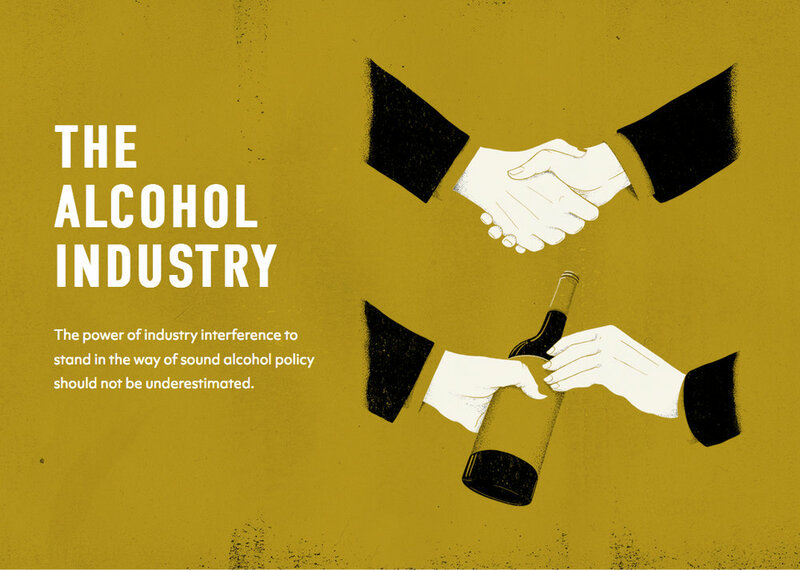 The images are taken from the project’s website troublebrewingreport.org, where the whole report can be found. Art direction by Johnny Hsu. 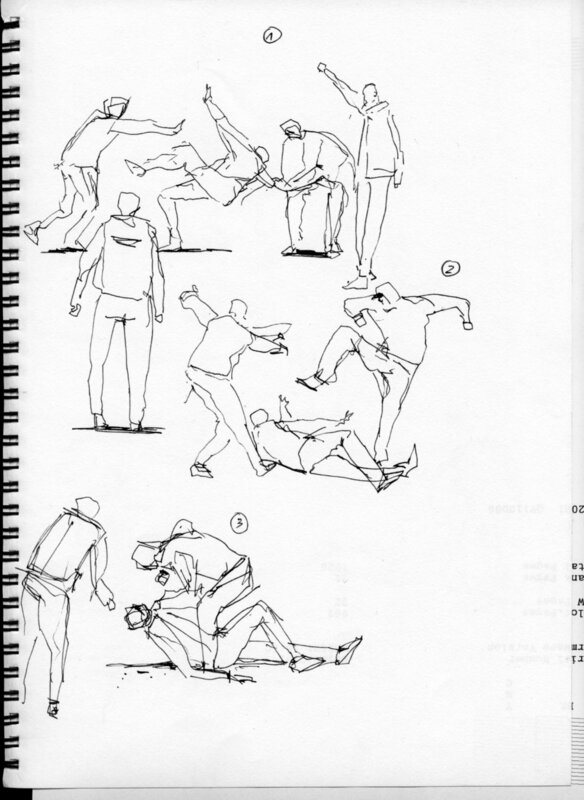 Below is a set of sketches, that the final images are based on. I drew this illustration for last week’s DIE ZEIT. The article was about the opaque financing of some German NGOs like the environmental organisation Deutsche Umwelthilfe. In other words: can their protest and considerable influence be bought by industries that have similar interests? 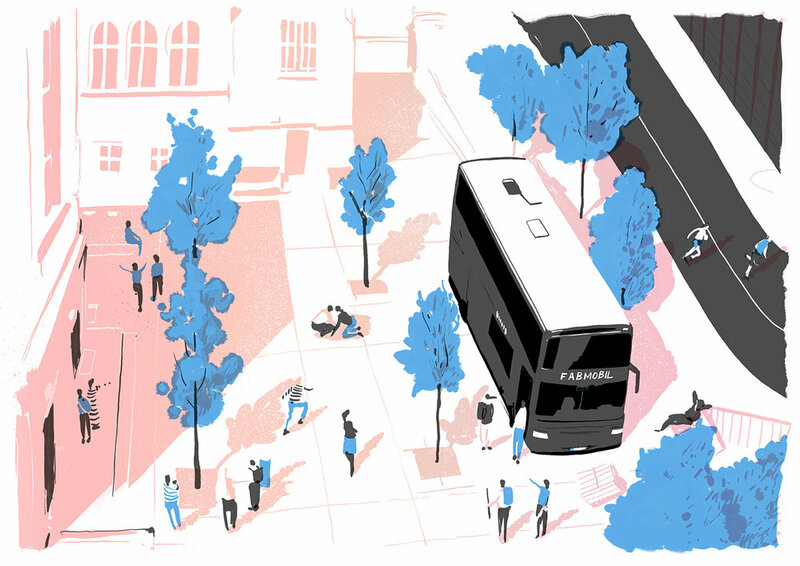 My documentation of the Fabmobil was featured in the illustration section of Behance. Thanks for all the appreciations and comments and to everybody who came here this way! Making of the Cover for "A Heart In A Body In The World"
Simon Teen have published an interview with me about the making of the cover of "A Heart In A Body In The World". Author of the book Deb Caletti conducted an interview with me about how the image came to be. You can read it here. This is my latest drawing for Psykologi magazine. The quote this time was: "Nosta jalka kaasulta: perhonen ylittää tien." / "Lift your foot off the pedal, the butterfly is crossing the street." by Eeva Kilpi. It also looks nice inverted. Every once in a while I get an e-mail from somebody who is interested in becoming an illustrator. This happened lately too. After having written my answer, I thought, that this might be interesting to other people also. Here is an edited and slightly generalized version of the question I received and answer that I gave. I want to study illustration through some course that will give me a much deeper insight into it or through a masters program. For you as an experienced but still learning illustrator, it would be great if you can give me some inputs/suggestions as to where shall I get some meaningful courses for illustration or colleges/universities for the same. If you have any other inputs, I will be more than happy. My field is mainly editorial, so my experience is somewhat limited to that. There are many ways to make a living from drawing/illustration. I get directly paid by magazines, newspapers etc. But there also people who make there own products (posters, textiles, …) from their work, and sell it directly to people. … and so many other ways. But I assume you are interested in the editorial field, so most of what I say applies to that. Courses and university education are of course dependant on where you are located or ready or able to move to. Unfortunately, I cannot comment on places that are available where you are. I knew that there are a few places in Britain and Germany that offer university-style courses, but my knowledge about these is also limited. The reason for all of this is, that I am practically self-taught. I studied industrial design. Then straight after studies, I decided to become an illustrator. I was reading up online and from library books pretty much anything I could find about illustration when I started out. I had a look at annuals, like Communication Arts or American Illustration, to get an overview of what is out there. I read on forums about the business side of things, agencies, pricing, licensing etc. For me the basics I learned in my industrial design studies still apply to my work. Research, concepts, variations, revisions, results, ... If you have already had some design background education (graphic design, product design, etc. 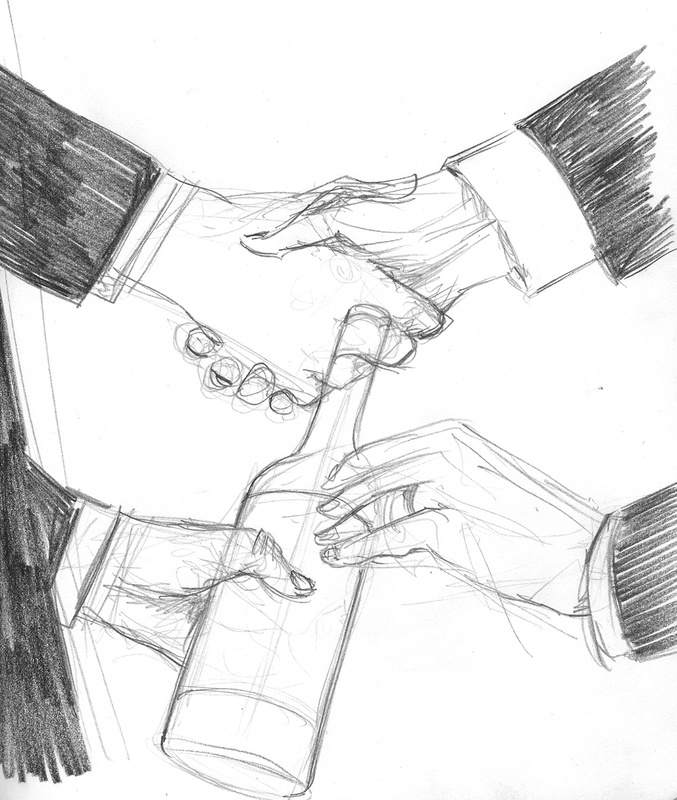 ), I would venture to say, you may not necessarily need formal illustration education on top. One thing that cannot be replaced by self-study, however, is having the people around you, who are also learning and often give good insight and motivation. I guess you could find some online communities, that would give critique and support. There are open platforms/groups/competitions like Illustration Friday, where they would give a theme each week, and everybody can contribute work. That would be a way to get some practical experience. If you join a community try to get (and give) proper feedback. This is, of course, easier said than done. You could also join life drawing courses, that are more generally available and specialized illustration courses, and possibly there you would find people, that have also an interest in illustration. The main task for a young illustrator is, in my view, finding an own voice. The way you draw things, handle subjects and so on. I will draw one of my friends/family members every day. I will make a drawing about the first thing on the news this morning (this is something very close to the actual job I am doing in my work). I will make a drawing for every chapter of my favorite novel. I will make an alternative cover for all my favorite albums. I will draw all items of my clothing I have. I will draw one person from the bus every morning. The ideas are endless. Important is, that you find a subject, that really motivates you. Give yourself also a time-limit maybe. 30 minutes or 1 hour - so it is not impossible to fit it into your day. Your work does not have to be finished. If you have an "illustrator crush” on someone - which means you like their work very much - try to copy it. How could they have done it? What is their thinking behind it? The medium etc? You will learn a lot from that. But of course, do not get too stuck on somebody, after all the idea is to find your own voice. Practicing in this way will show you also your own weaknesses and strength and motivate you to move on to your own way of working. Another thing I often recommend, and you have done that already: ask other illustrators. I also did that and do that and almost always I get very nice and helpful answers. 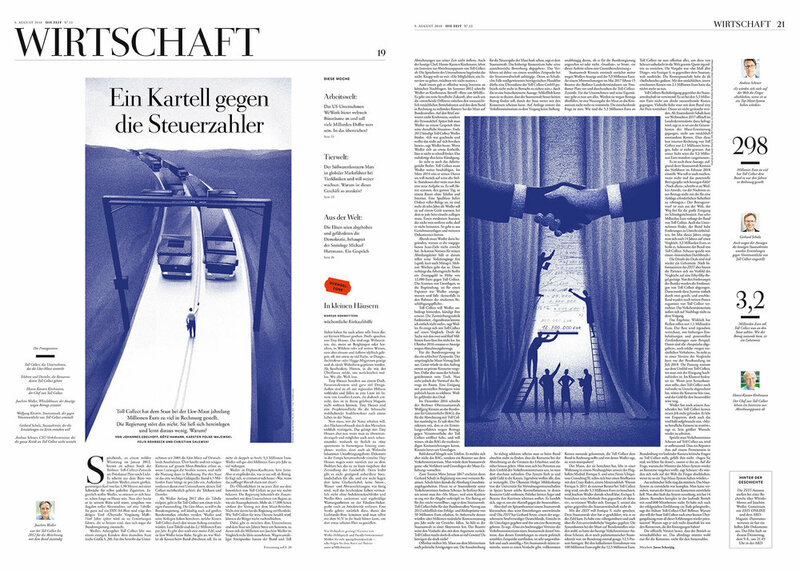 Here are the illustrations I made for the Toll Collect -article in DIE ZEIT of August 9th, 2018. I posted sketches for these earlier here. I made illustrations for an article about the shady calculation methods of Toll Collect, the monopoly that runs the system that collects road fares from trucks on German highways. Here two sketches. The finals can be seen in today's DIE ZEIT. Later more about it. published a summary and interview with me about the project. You can read it here. I spent the last week's drawing a lot with pencils, gouache, and markers, actually more than ever before. I spent the last ten years mainly drawing digitally, and somehow the time feels right to do this now, for my own work, and who knows, what the next step will be. I have been posting a lot more of these over on my Instagram, almost every day. Here a small selection. 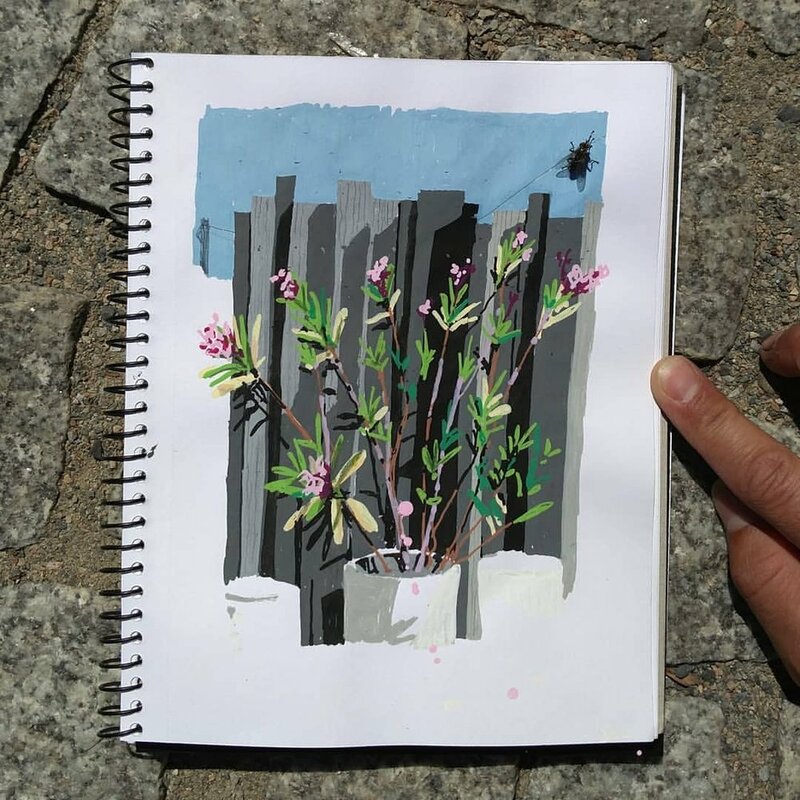 I often draw outside, on location, things that are in front of me. Usually the drawings do not take longer than 30 to 60 minutes. I try to continue making these and maybe at some point I will report back on what I have learned from doing these. Here are two recent illustrations I made for Wirtschaftswoche. The first one is about cyber security. Even as companies become aware of cyber threats and employ increased security measures, there always stays an uncertainty, because they have to trust the companies that they hire to ensure the security, be it in the form of IT services or software like anti virus scanners, cloud or VPN services. This is about CEOs and their successors. Studies show, that current CEOs often groom successors that are very similar to themselves to ensure their own legacy. The reasoning is, that shared life experiences lead to similar decision making. Studies show, however, that this is not the case. A new CEO that is similar to the old one often leads to diverging paths. A reason for that might be, that there is an incentive for new leaders to show strength by making bold decisions early in their tenure. Art direction for both by Claudia Immig. A collection of my dark drawings was featured on the website Mâché digital, an online publication based in Los Angeles. The feature, with a short introduction text is right here. It is going to be a bit slower here in the next few weeks. I am going to post some drawings from my sketchbook over on my instagram. "Polttaa kesäkatu miestä, kosteaa höyryä nousee tiestä" / "The summer street burns a man, moist steam is rising from the streets". 5 points for recognizing the city depicted. 10 points for knowing the photograph the composition was shamelessly copied from. 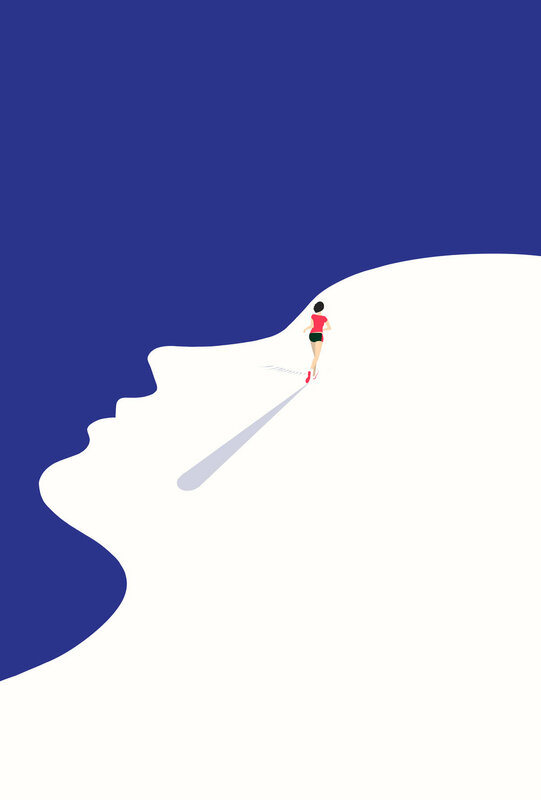 I created this illustration and - as a first for me - also animation (see below) for Neue Zürcher Zeitung. The article by Nils Pfändler and Fabian Baumgartner, which can be read here (in German) is about the increase in violence between fans of the two competing soccer clubs in Zürich. Extreme violence between fans or even sometimes fans and innocent third parties might erupt suddenly anywhere in the city. In the last months, I saw how other people attempted to animate drawings of mine. 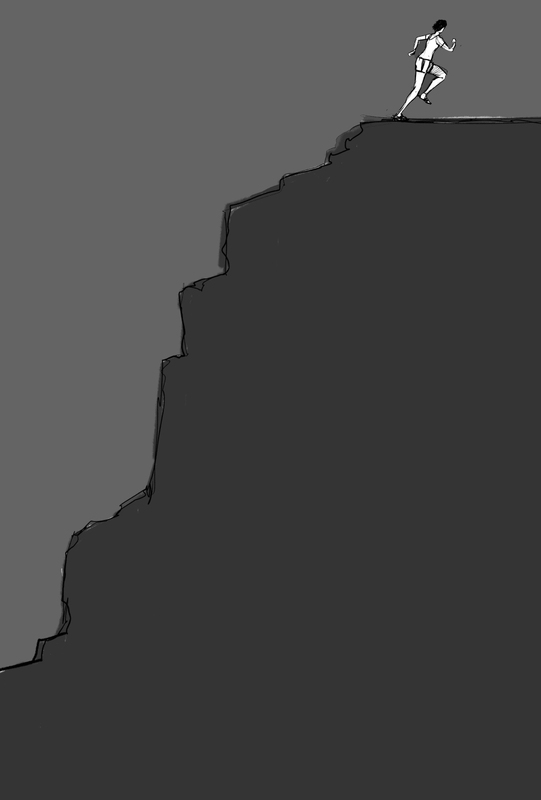 I am aware, that there is quite some technical challenge to overcome when animating a finished image. Nevertheless, I was not so happy with the results. I started to think more about the issue. 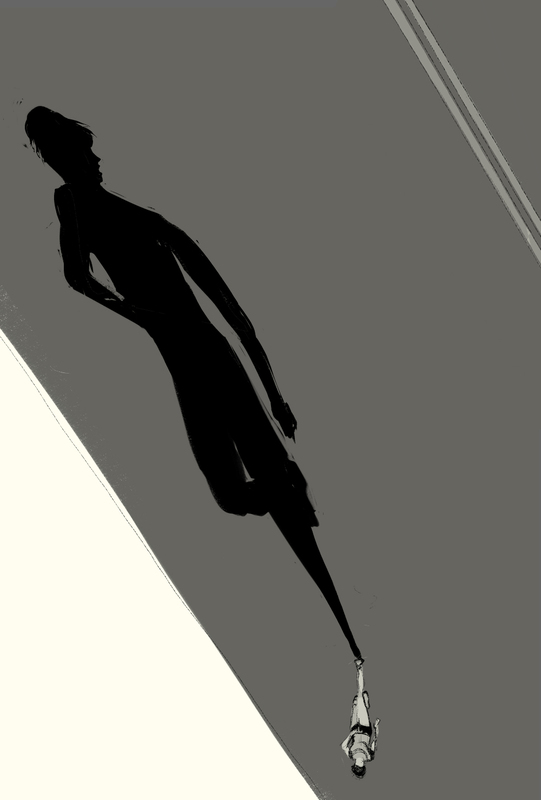 I think just adding some movement to a drawing for movement's sake is pointless. 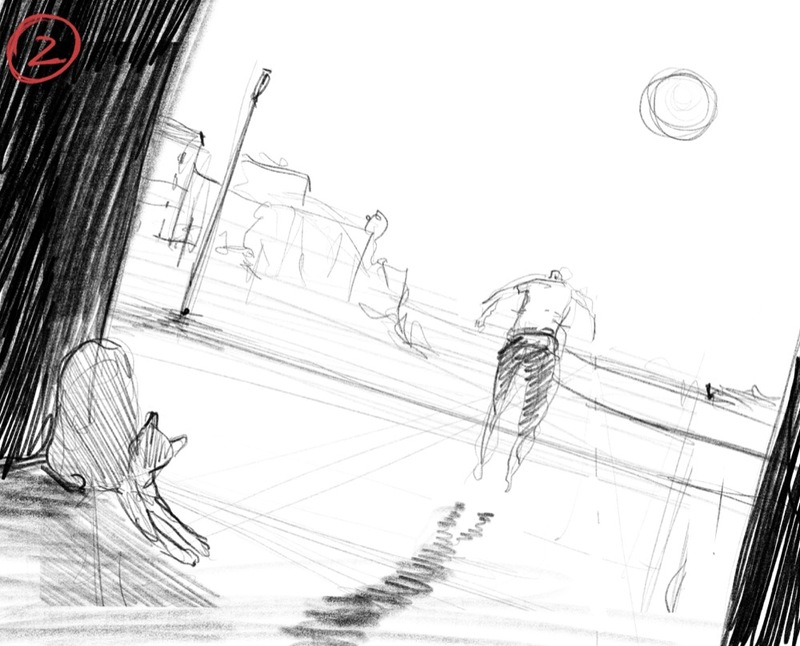 Ideally, the animation adds to the experience of the drawing, or even adds other layers of meaning. In this animation, I like how the role of the woman in the center becomes more poignant. How would it feel to suddenly witness a scene like that, and a moment later you are questioning what you have just seen? I made a drawing for the cover of the upcoming book A Heart in a Body in the World by American author Deb Caletti. The book is going to be published on September 18th. You can read more about the book on goodreads. As usual with book covers, I started quite broadly and we tried to refine the image more and more. Some process images below. Tuttuun ja totuttuun klubitapaan saamme lähemmin tutustua Danielin töihin, työhuoneeseen ja hänen työskentelyynsä. Vaihdamme myös kuulumisia ja annamme aiheiden löytää keväiset uomansa pienen naposteltavan äärellä. Koska paikka on hieman hankalammin tavoitettava, järjestäydymme paikalle yhteisillä kyydeillä. Lähdemme Tampereelta liikkeelle Sampolan kirjastolta klo 17 aikoihin. Kyytiin voi toki hypätä muualtakin, jos satut sopivasti asumaan matkan varrella. Ja tietenkin voit tulla paikalle omin neuvoin. Paluukyyti järjestyy myös. Osoite on: Valtakatu 36, Hämeenkyrö. Tervetuloa mukaan kaikki uudet ja aiemmin mukana olleet! Ilmoittaudu mukaan, niin saadaan kyyti järjestettyä. I posted the Fabmobil-project to the Work section. I still wanted to write a little about the background of the project. From the beginning, the parameters were pretty open. 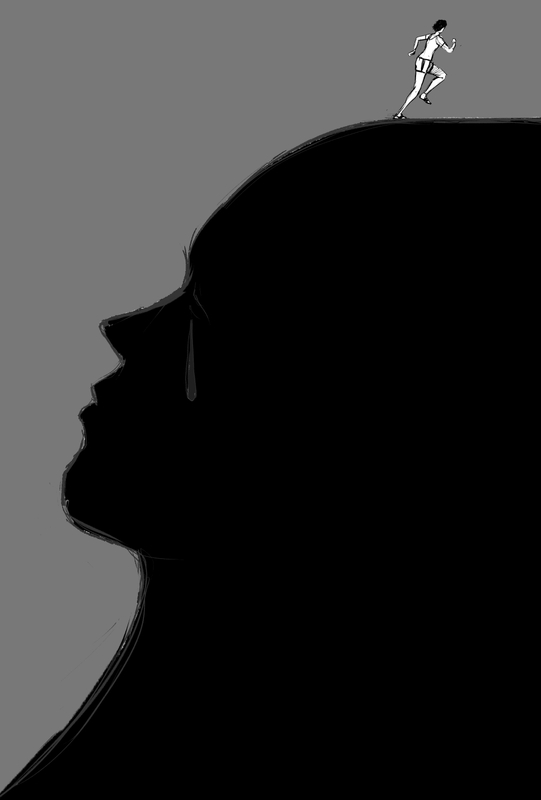 It was not clear what kind of drawings I would produce. In the weeks and months leading up to the project, I was learning to use more traditional tools, pen and ink, pencils, watercolors and Posca markers. I filled a complete sketchbook with drawings done very quickly and on location as a preparation for the Fabmobil trip. My roadtrip drawings, were part of this exercise. I took all the materials, iPad and traditional media, to Germany. In a first discussion with Sebastian and Christian (makers of the Fabmobil) we decided to go for more finished drawings, which meant digital. The nature of the digital drawing also fits the subject more - after all, it is a bus about modern, creative, digital technologies. This approach suited me fine. On one occasion I was even surrounded by a group of kids, who all wanted to try out the iPad and Apple Pencil. I wonder if there wouldn't be more potential there to also teach kids drawing or art by sneaking it in with the help of iPads and Wacom tablets – and to show them then in a roundabout way, that the tools are really not so important. I am still interested in using traditional tools, maybe for another project. Making these more finished, digitial drawings meant, that I could create about two to three drawings per day. I believe using pencils or ink, it would be possible to work faster and really follow the action, as it unfolds, rather than creating bigger scenes, as I have done in a lot of these drawings. 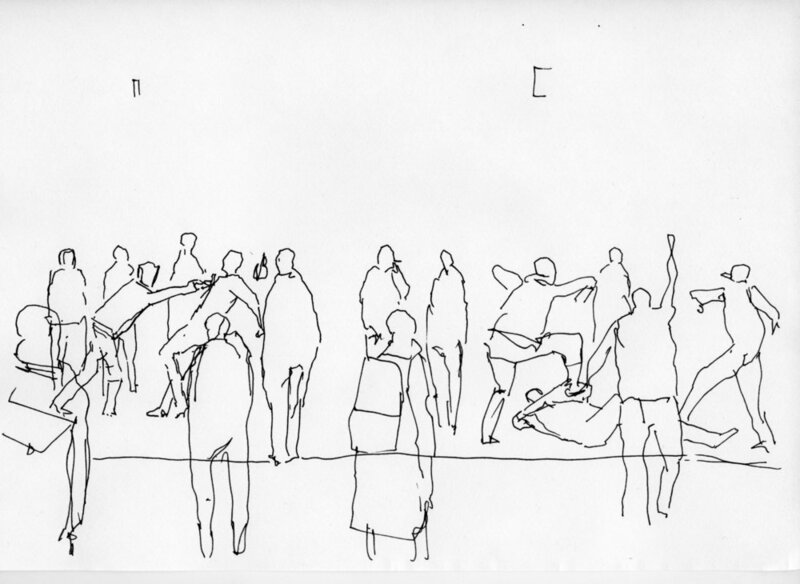 Then again having the drawings digital allowed us to post them straight away to Instagram and Twitter. I exported timelapse videos of the drawing process, added audio recorded on location and posted it straight after completion to the Fabmobil instagram account. This would be harder with tradtional drawings. Besides the tools, I was happy to see, that I am able to produce drawings live, outside, on location, even in driving vehicles, heat or crowded spaces. This is something I'd like to explore further in the future.